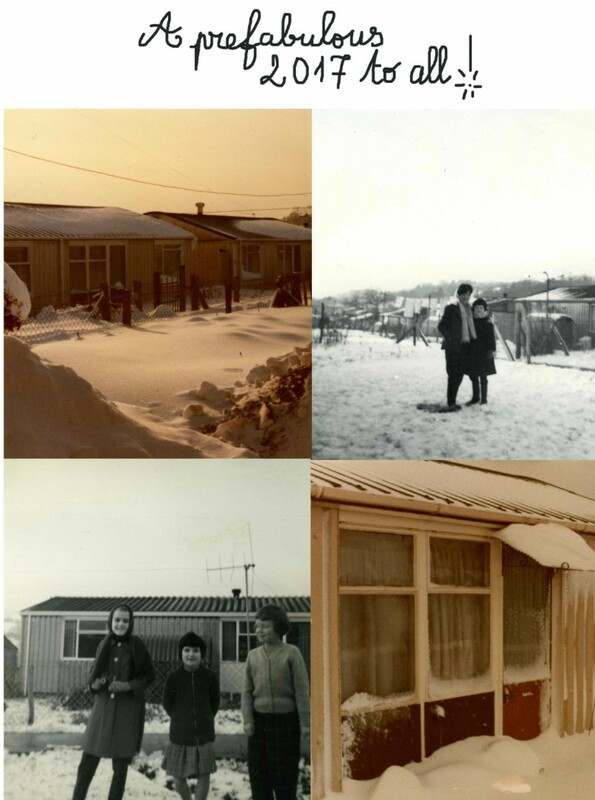 You are here: HomenextMemoriesnextFestive update from the Prefab Museum! Our Facebook page and our mailing list keep on growing and so does the number of followers of our Twitter account! There have been more than 10,700 visitors to the new website since August, more than in the whole of the previous two years. We keep on discovering new prefabs locations, new information, documents and stories. It’s fascinating! As it’s time to have a bit of a festive break, we would like to thank everyone for their help and support this year, for their kindness in sharing their stories and making the Prefab Project such an enjoyable one to lead. We are arranging events for 2017, dates to be confirmed. We will keep you updated!